Sterling Silver Amethyst and Lapis Necklace. See Closeup. 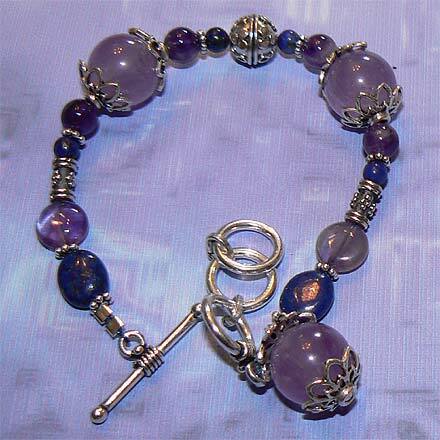 Sterling Silver Amethyst and Lapis Bracelet. 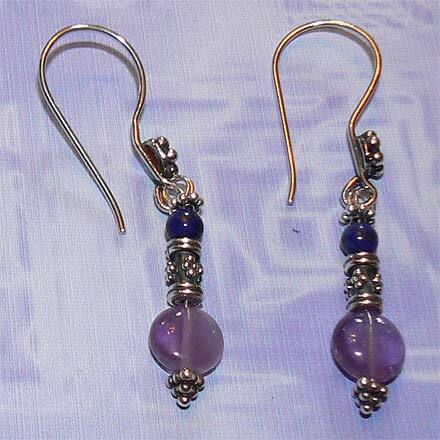 Sterling Silver Amethyst and Lapis Earrings. I just love the color combination on this one. 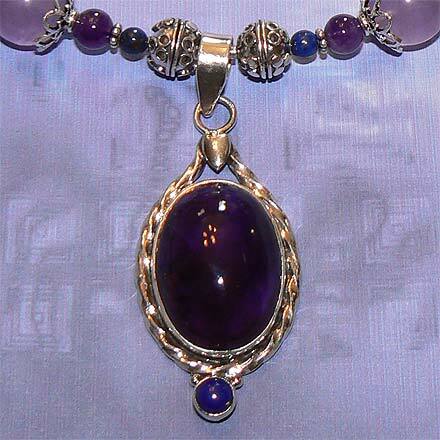 Purple Amethyst mingles with blue Lapis Lazuli to create a wonderful blue-violet ensemble. The 2.1" pendant is so cute with the large Amethyst cabachon and the tiny round Lapis one below. 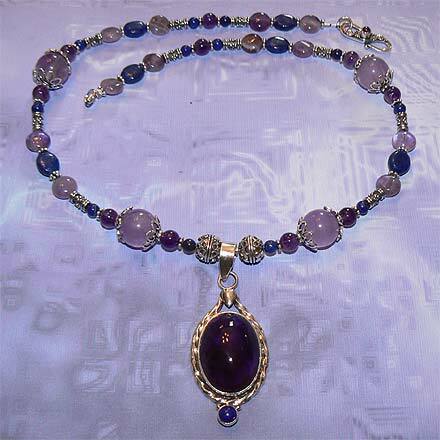 It hangs from a 19¼" pendant with an Amethyst set in the clasp. The bead caps surrounding the large Amethyst beads are made in Turkey. The matching bracelet has a variable size toggle clasp, ranging in length from 6.9" to 7.9". For those who are interested in Astrological significances of stones, Amethyst corresponds with Pisces and the month of February; Lapis corresponds with Sagittarius and Libra, and is a traditional birthstone for the month of December.